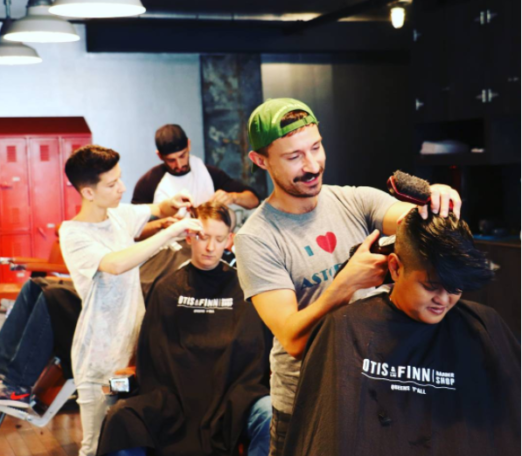 Small Business Owner Spotlight: Otis & Finn Barbershop! Small Business Owner Spotlight: LIPSTICKBOWTIES! 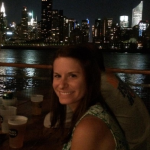 Small Business Owner Spotlight: Diamond Dogs! One local business we absolutely love talking about is Otis & Finn. They’re super nice guys, their team gives awesomely fresh cuts, and they serve complimentary bourbon to all customers. What’s not to love? 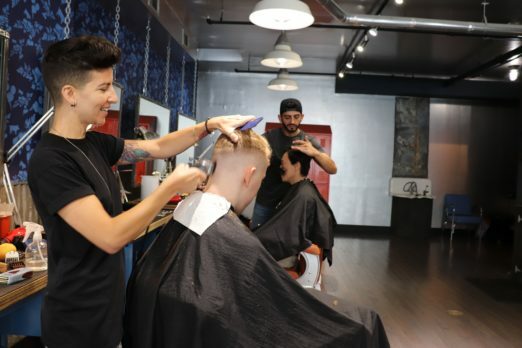 We caught up with the owners back in November when the popular LIC barbershop was opening their second location, and today, we’re psyched to be featuring them in our Small Business Owner Spotlight! Take it away, guys! Exceptional haircuts, great conversation, good bourbon, a welcoming atmosphere and sense of community. Yes. We’ve lived in Astoria for over 11 years and have been hanging out in LIC for just as long. Neither Kirk nor I are originally from NYC, but we both feel at home in Astoria. We both grew up with big families in small towns, so we were drawn to the area by strong sense of community and neighborhood feel. 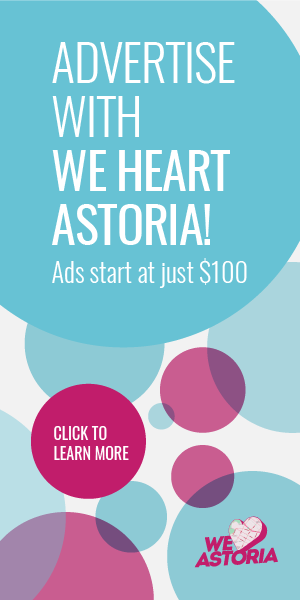 What made you decide to start a business in Astoria/LIC? We saw the need for community outposts in LIC. As residential development grew in LIC over the past few years, retail wasn’t keeping up with the needs of the neighborhood. More than anything we saw a need for a spot for locals to hang out with one another, meet their neighbors, and talk about the community. 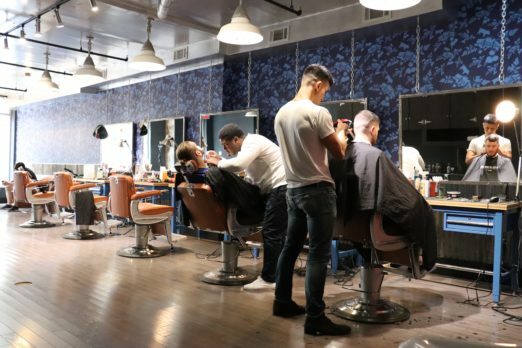 Since Kirk is such a talented barber we thought it made sense to give people a two-for-one deal: an incredible haircut with attention to detail and client focus, and a place to meet your neighbors, have a drink and talk about what’s going on around us. What’s been your favorite moment since launching? We have new favorite moments every day, but it’s especially gratifying to meet new clients who stumble upon the shop. You can see first hand that they feel welcome and the smile on their face when they see their new haircut. A great haircut can change a person’s entire attitude, and that’s very satisfying to be a part of. We love Communitea, LIC Market, and The Mill for our coffee breaks. We love the happy hour at M. Wells. If you buy a half dozen oysters, you get a cocktail for $1 – and the oysters are the best in town. The Taproom at Big Alice Brewing. They always have something new and refreshing to try. The Museum of the Moving Image. The change has been really dramatic. 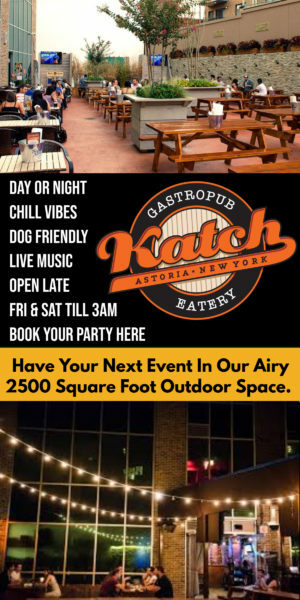 When we first moved to Astoria, there wasn’t the bar scene that there is now. Astoria has always had great food, but that has expanded over the years as well. But, now there is a nice bar scene and you can go bar hopping. Our two favorite bars are Albatross and The Ditty. The people, the people, the people. Starting Otis & Finn was the best decision we ever made. 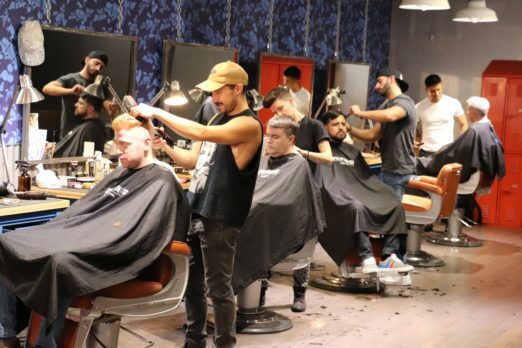 Kirk and I and all our barbers (Fred, Jennifer, Jordan, Lazar, Thomas, Fellipe, Duval and Shaun) look forward to going to the shop because of the incredible sense of community that has evolved since our opening. It doesn’t feel like work at all, it’s like you are showing up every day to hang out with people you know and like — our clients. Thanks for taking the time to chat with us, guys! Astoria & LIC are lucky to have you!